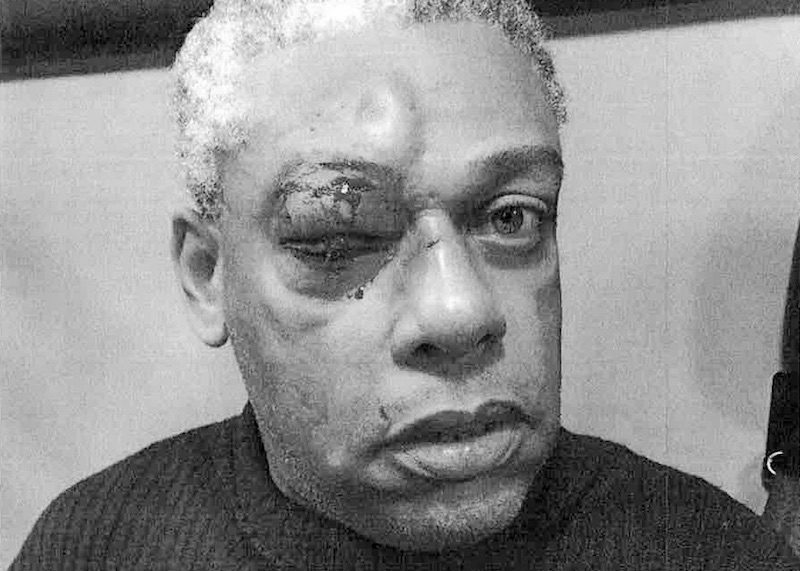 According to the New York Daily News, a homophobic 35-year-old Bronx building superintendent named Jose Adorno stabbed a stepfather named Ronald Griffin in eye during after Griffin confronted him for directing anti-gay slurs at his stepson, Joey Brown. Adorno had allegedly harassed Brown with anti-gay slurs for months before being confronted by Griffin. Despite the attack being caught on tape, Adorno still oversees the building. Griffin had removed his hat and glasses before speaking to Adorno. Incensed by his comments, Adorno pulled a knife from his pocket and began swiping at Griffin. Adorno stabbed Griffin in the eye, rendering him blind in his right eye and fracturing the surrounding bone. 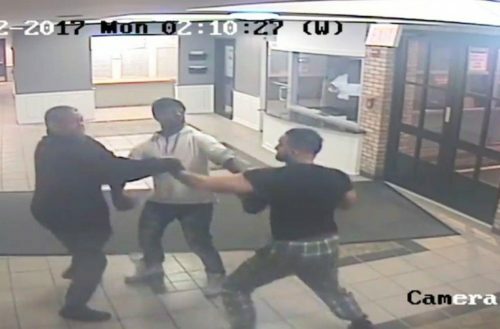 A surveillance camera captured the fight. The feature image above is from the footage of the fight. You can view more footage at the New York Daily News. Although the attack in question occurred earlier this year, Brown and Griffin recently filed a suit against the building management company and landlord for allegedly doing nothing in response to reports of Adorno’s homophobic abuse. 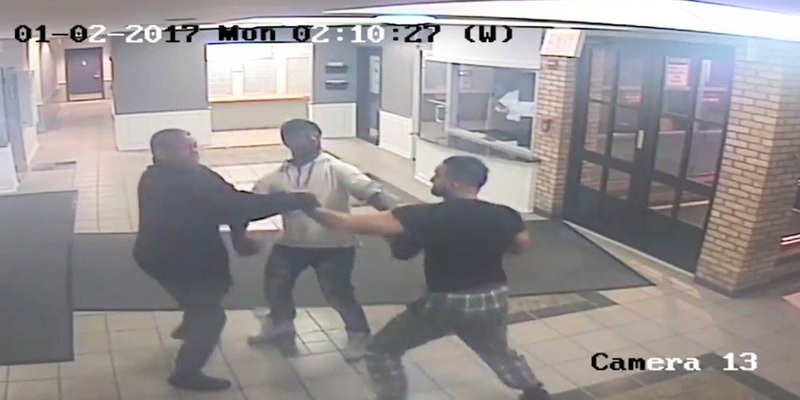 They also allege that a security guard sitting in the building’s lobby witnessed the fight but did nothing to respond. The security company has denied any wrongdoing. After the attack, Adorno pled guilty to third-degree assault and served 60 days in jail. However, he has resumed working as the building’s superintendent.